Australia: Adelaide Brighton’s sales revenue grew by 4.6% year-on-year to US$1.16bn in 2018 from US$1.11bn in 2017. Its earnings before interest and tax (EBIT) fell slightly to US$188m. 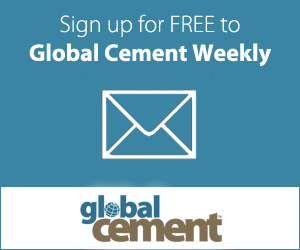 The group said that its cement sales volumes grew by 1.1% in 2018 due to ‘strong’ demand in Melbourne and Sydney from residential construction and infrastructure projects. Prices increased in most markets with the exception of South Australia, where it faced competition from bulk imports. “Increased revenue in 2018 reflects Adelaide Brighton capitalising on the favourable demand environment for construction materials and lime as well as the delivery on expectations for the concrete and aggregates acquisitions made in 2017. “East coast construction markets were strong in 2018, South Australia and the Northern Territory were flat and Western Australia was down, while lime demand from the resources sector was stable,” said chief executive officer (CEO) Nick Miller. Spain: Cementos Molins’ turnover fell by 8.9% year-on-year to Euro588m in 2018 from Euro646m. It blamed the falling sales on currency depreciation in Argentina and a decrease in sales in Mexico. Its net income decreased by 4.2% to Euro85.3m from Euro89.1m. Its cement sales volumes rose by 7.5% to 6.05Mt from 5.6Mt but its concrete sales volumes reduced by 4.5% to 1.5Mm3 from 1.58Mm3. Spain remained the group’s biggest sales territory and these rose by 11.1% to Euro260m. 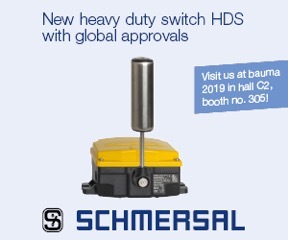 Germany: Schmersal Group will be demonstrating its new HDS switchgear series for heavy industry at the Bauma construction machinery trade fair in April 2019. The basis of the new platform is a standardised enclosure concept, which is available in two versions: plastic and grey cast iron. 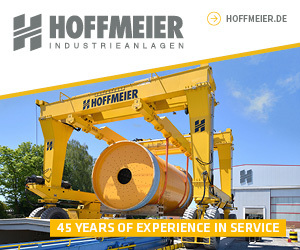 Typical application areas for the product include emergency-stop deactivation, belt misalignment monitoring in the transport of bulk materials, end position monitoring in steel making and level monitoring in material silos. “With the modular HDS switchgear platform, we’ve created a product that our customers can use flexibly over a wide range of applications. The HDS platform can also be used worldwide thanks to its international approvals,” said Udo Sekin, heavy industry sector manager at the Schmersal Group.